This brown bear has found himself a tasty meal after fishing in the river along the border of Canada/Alaska in Hyder-Stewart. 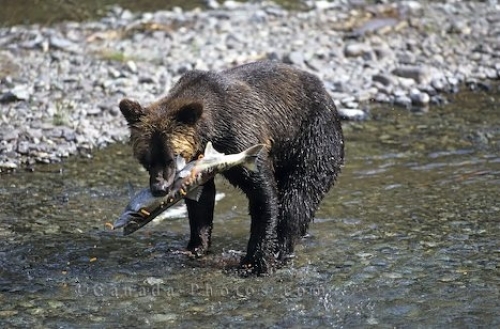 A favorite past time of the brown bear is fishing for salmon along the banks of the river. Picture of a brown bear fishing in Hyder-Stewart on the Alaska/British Columbia border.